Rookie group EXO-K were appointed honorary ambassadors for the Korean Red Cross Youth in Hongdae on December 2nd. 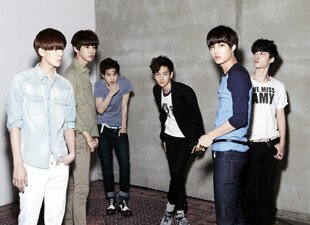 The Red Cross Youth partnered up with SM Entertainment back in April of 2011, and thus as one of SM's artists, EXO-K, had been taking part in various Red Cross events since before their debut. 2013 marks the 60th anniversary for the Korean Red Cross, thus the organization stated that it hopes the EXO-K members will do their part to further expand the concepts of giving and sharing in the minds of Korea's teens.